As first-timers, do we need to explore some of the most unique attractions of the Caribbean destination like its swimmable caves and the granite boulders at The Baths? Absolutely, writes assistant editor, Ann Ruppenstein in this week’s digital edition of Travel Courier. Is soaking up the sun a must after months of enduring the long Canadian winter? No question. Do we need to try a Painkiller, the drink concocted in this very location? I think yes, maybe even twice in the name of research. So, like a choose your own adventure novel, we opt to experience both. 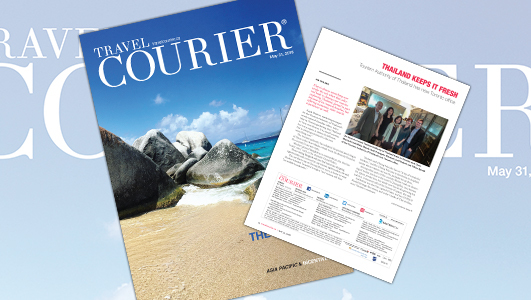 For the full story, check out this week’s digital edition of Travel Courier.